Sultan Qaboos University is the realization of the promise announced by His. Majesty Sultan Qaboos Bin Said during the 10th anniversary of Oman’s National Day in 1980. 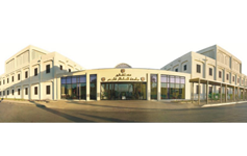 Construction started in 1982 and the first Sultan Qaboos University students were enrolled in 1986. In accordance with the Royal Directives of His Majesty, The University commenced with five colleges; namely Medicine, Engineering, Agriculture, Education and Science. Furthermore the College of Arts was established in 1987, following the College of Commerce and Economics which was developed in 1993. The College of Law joined the University in 2006 and finally the College of Nursing was established in 2008. 9 Hours Duty + OT + Accommodation + Medical + 2 Years Contract.